Natural and man-made disasters can and do happen without warning. From tornadoes and floods to broken dams and earthquakes, these events can be lethal for many business owners. 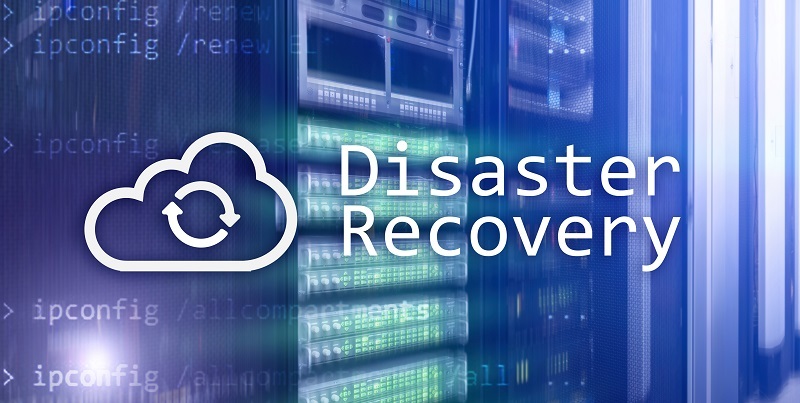 You’ve worked hard to build a strong and successful business, but without a clear recovery and business continuity plan that includes managed data backups, your business could easily be among the many thousands that close in the wake of natural disasters. Here are some important things to keep in mind for your data backup and disaster recovery plan. Between wildfires raging on the West Coast, the eastern seaboard being slammed by seasonal hurricanes, and tornadoes striking the Midwest, companies are coming to see the importance of Disaster Preparedness and Business Continuity Plans in helping to keep their business running in the wake of natural disasters. The Federal Emergency Management Agency (FEMA), understanding the importance that businesses play in helping communities recover, has developed Ready Business Toolkits with hazard-specific guidelines and step-by-step instructions to help businesses build Preparedness and Continuity Plans. It’s hard enough dealing with the immediate aftermath of a disaster, but the long-term implications can be far greater. In fact, FEMA has reported that in the 12 months following a natural disaster 25 percent of small businesses will close, and 75 percent of businesses without a continuity plan fail within three years of such an incident. Having a business continuity plan that includes managed data backups helps sustain your company’s ability to continue operations and shores up your ability to meet financial, legal, and regulatory obligations. The most important component of managed backups is securing your business data, like customer information, that can often never be recovered once lost. Dell recently reported that the average costs of a retrievable data loss episode due to the failure of a single device is $2,450, including the cost of recovering the data, equipment downtime, and lost productivity. Imagine that number multiplied across your entire network and affecting all of your data. Larger scale data loss on corporate servers or as the result of a data breach can result in the permanent loss of data and be far costlier – especially when you include potential government fines and legal costs. With 60 percent of SMBs closing within six months of a major data loss, managed data backups to protect your data should be a top priority for your business. If your business operates a mobile workforce or your employees mainly work on non-networked tablets or laptops, you should include at least managed data backups as part of your recovery and continuity plan. With off-site file and data backups, you can get your team back up and running relatively quickly. On the other hand, if your setup includes servers and complex computer systems that include databases, SQL, and Exchange servers, image backups are also a very important component of your backup plan. Image backups create a mirror image of your entire operating system, including files, executable programs, and operating system configurations that help reduce your downtime and get your business back up and running following a disaster or data breach. An image backup can be installed quickly and includes all of the preconfigured user profiles and necessary programs and applications to help your team get back to business. Having only data backups could leave you scrambling to setup and reconfigure all the different software required to run your operation, costing your business valuable time and money. Image backups allow for the easy restoration of your databases and servers – putting you back in control of your mission critical data. With our managed image backup solutions, your data is securely encrypted to meet compliance requirements for all industries. Off-site data backups are critical for disaster recovery plans. While on-site backups might be helpful if a computer burns out, all the on-site redundancy in the world won’t help you if there is a flood, fire, or other destruction of your server room. 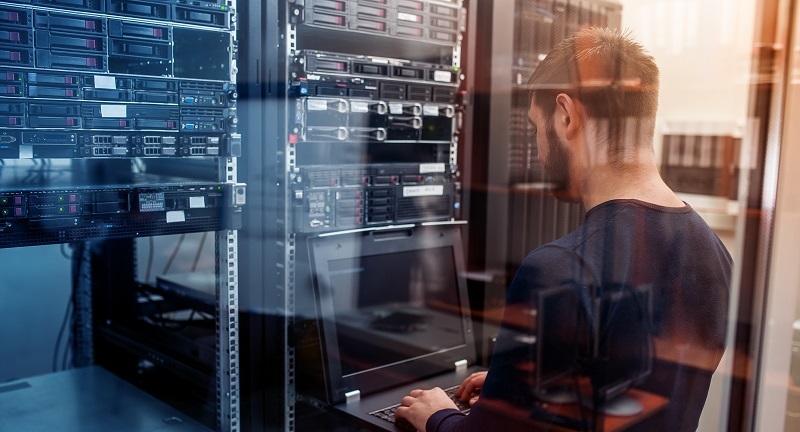 Many small business owners opt for off-site, non-cloud based backup options to protect their data from site-specific disasters. While it may be tempting to count on low cost external hard drives stored in a safety deposit box or at the business owner’s home, this option too is open to risk. If an employee forgets or unable to conduct a backup just before disaster strikes, your data backup won’t be current. Additionally, local area storage of your off-site backups may not be good enough in the wake of regional disasters like hurricanes and leaves you vulnerable to fires and other disasters in the owner’s home or at the bank. Cloud-based backups provide a decentralized storage solution, typically with several redundant copies of your data stored in different geographical regions. For this reason, cloud-based backups are the most reliable option to protect data loss due to regional or other major disasters. Since the costs associated with cloud-based backups can be significant, this type of backup is generally best suited for larger businesses. Since limited internet bandwidth can be a hindrance for cloud-based backups, our managed data backup experts can check your bandwidth as part of our free hour of service and consultation to see if this backup option is ideal for your business. A downside to cloud-based backups come when there are internet service disruptions. When internet service is affected by a disaster, the time to recover data can be considerable as your data must be restored over the internet. Backups are an essential component of any disaster recovery and business continuity plan. To get the most out of your backup plan, you have to make sure that your backups are current and completing properly. You can’t just assume that your backups “just work” – you have to have a process in place to ensure that your backups are completing on schedule to keep your business from losing days, weeks, or months of data. You can take the stress out of securing your data in the face of disaster by opting for a managed backup service. Not only will we manage your data backup solutions for you, but we can send you a periodic status report so that you can ensure the important protections for your IT infrastructure are working properly. With our high level of customer service and satisfaction, Computer Service Now works hard to be the premier IT firm in the Cincinnati and Dayton region. We offer a wide variety of IT solutions that stay within your budget. For IT-related projects big and small, our experience, expertise, and variety of services allow us to provide the support you need to meet your business needs. Contact us today and let us solve all of your IT needs today!